Pets, especially indoor pets, just love fresh greens! 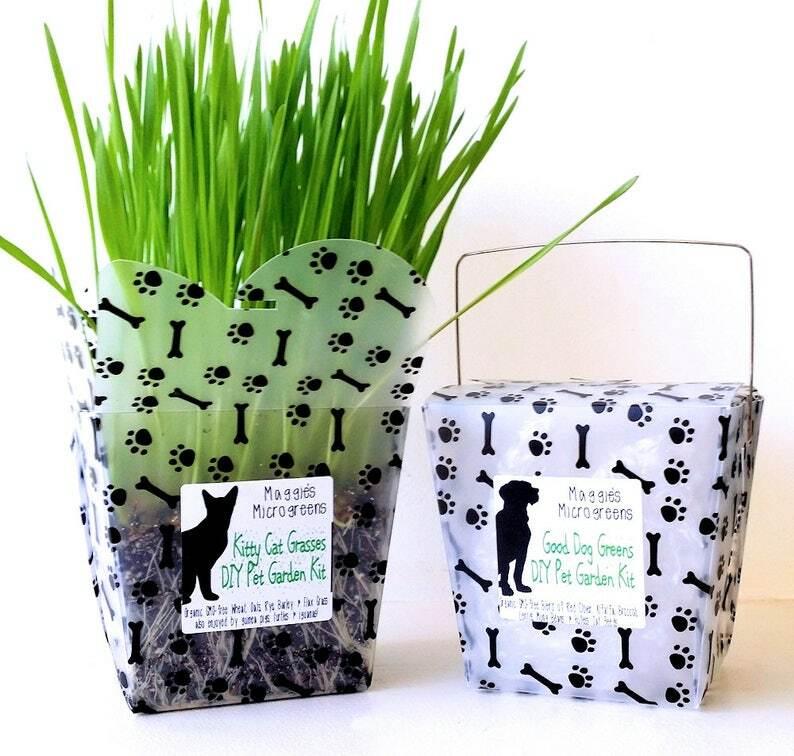 I've designed this Pet Garden kit using a blend of good-for-them, certified organic seeds, in a gift box that becomes a waterproof planter filled with my custom organic soil mix! My kit includes everything you need to grow your own pet greens - just add water and sunshine, and in a few days your pet will be harvesting his own super-fresh and nutritious greens! Choose either of my special seed blends - both organic and GMO-free. DOG Greens Mix: A blend of healthy red clover, alfalfa, broccoli, lentils, mung beans & hull-less oats selected just for dogs. 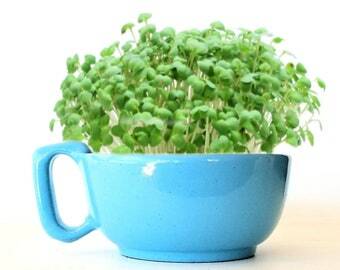 I provide instructions for growing these as greens, but you can also sprout them if you prefer. 1. The gift box becomes the planter! Designed like a take-out food box with handle, printed with darling paw prints, it is 4 inches tall and 3-1/2 inches wide. Made of waterproof BPA-free plastic, you can use it over & over again. 2. 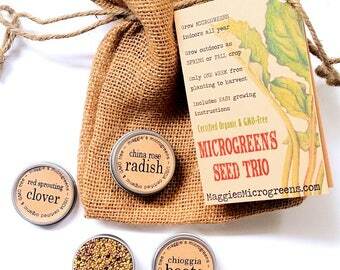 Certified organic, GMO-free seeds produced especially for growing as pet greens, enough to grow 2 crops. 3. Organic seedling starter soil mix that I custom-blend especially for microgreens. 5. Complete instructions for growing your own Pet Garden. Following my easy, step-by-step directions, you can create your own Pet Garden in less than 15 minutes. Then just add water and sunshine, and within 4 to 5 days your pet will be enjoying garden-fresh greens. You can grow your Pet Garden indoors in a sunny windowsill, or, weather permitting, outdoors in a sheltered spot. And the best part? These greens are "cut and come again" - meaning, you will get multiple harvests from a single planting. > I ship this kit to any US or Canadian address via USPS First Class mail. > Gift wrap is also available! Select at checkout. > If you need your kit in a hurry, I offer a Priority shipping upgrade, also at checkout. Love it! I don't have a green thumb at all and usually I just kill plants, but the instructions for this kit were very clear and I actually managed to grow this cat grass! My cat seems to be enjoying it as well. I highly recommend this kit for anyone...including people like myself who are convinced the only talent they have with plants is killing them.